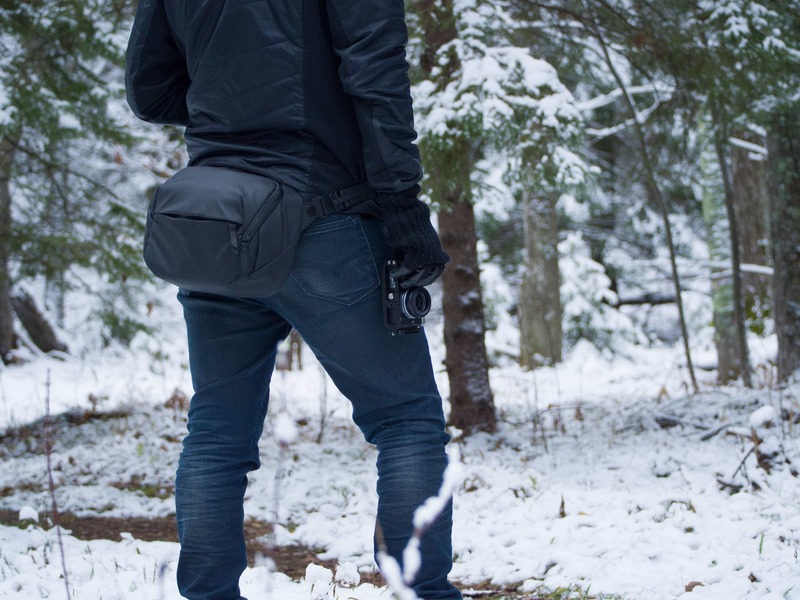 A versatile and protective bag, the Peak Design Everyday Sling is a great solution for everyday protection of camera equipment and other essentials. We’ve all been there. Wanting to bring along your camera gear or a few everyday essentials, but not wanting to lug around your entire pack. 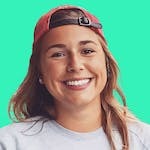 Your pockets won’t fit more than your cell phone and wallet, and a drawstring bag feels a little too middle-schooler-on-a-bike. 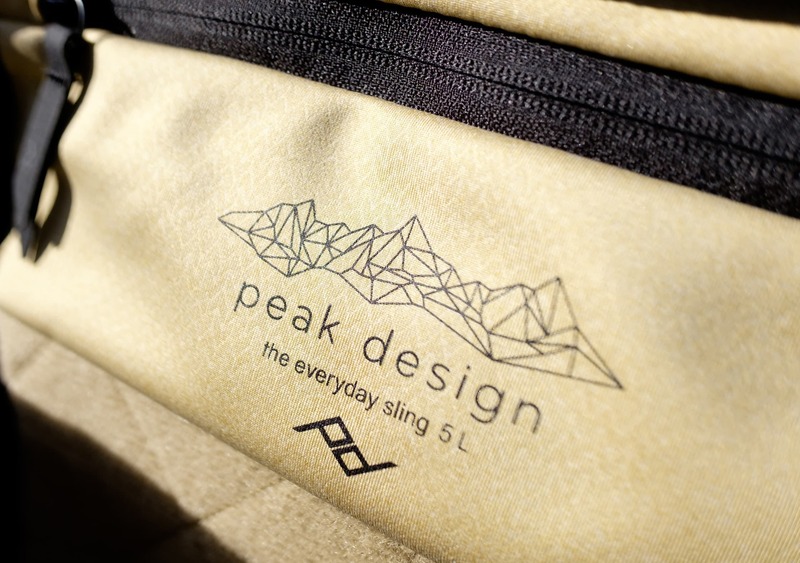 For times when you don’t need the space of an entire pack (but still want a stylish and functional carrying vessel), take a look at the Peak Design Everyday Sling. 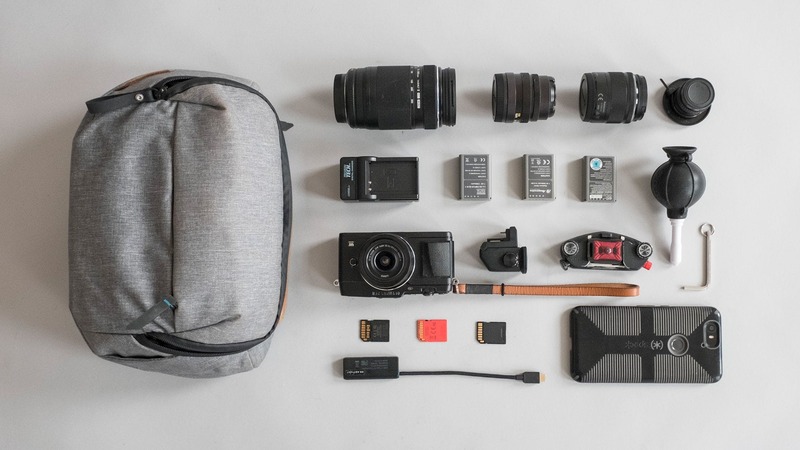 Though this pack was designed with the photographer in mind, you don’t have to know the difference between ISO and aperture to find value in this bag—but, you may appreciate some of its features more. The shell of this 5-liter sling (Peak Design also makes an older 10-liter version) is made of a weatherproof 400D nylon canvas available in two colors—black and ash. Both options are discreet and professional looking, without any loud detailing (aside from a brown NuBuck leather handle and seam accent on the ash bag, which looks rather nice). Peak Design describes the canvas as having DWR (durable water repellent) impregnation and dual poly surface coating. That’s a lot of buzz words, but those buzz words should keep your stuff protected. The external features of the sling are quite similar to those you would find on the Peak Design Everyday Backpack we reviewed awhile back. The sling strap is incredibly well-designed for easy adjustment on the go. The attachment points swivel and rotate, making for a flexible fit and hang when wearing it around the back as a sling or around the waist like a fanny pack—more on that later. The padded top handle is a nice touch but, with the versatile strapping options, we don’t foresee too many circumstances where you’d be carrying it by hand for extended periods of time. If you do want to carry it by hand or pack the sling away into a larger bag, the straps do unclip and you can tuck them inside (though we found the clips to be a bit more flimsy than we’d prefer). The outside zippers on the sling are weatherproof and come with zipper locks. The locks won’t totally theft-proof your pack, but they’ll keep it tight enough to prevent someone from reaching in and grabbing a camera or your wallet. Depending on the color of the sling, the zipper pulls are made of hypalon (black) or NuBuck leather (ash). There is one zippered pocket on the outside of the pack. This is where you’ll want to store smaller, quick grab items—phone, wallet, notebook, what have you. The organization of the main compartment is what will really get the photography aficionados going. To start, the tan interior on the black sling (and grey on the ash) enables easy spotting of various camera gear, meaning you won’t waste as much time digging for black accessories in an equally black hole. The top of the clamshell contains a zippered pocket with four color-coded battery compartments (two black for good batteries, two red for dead batteries). 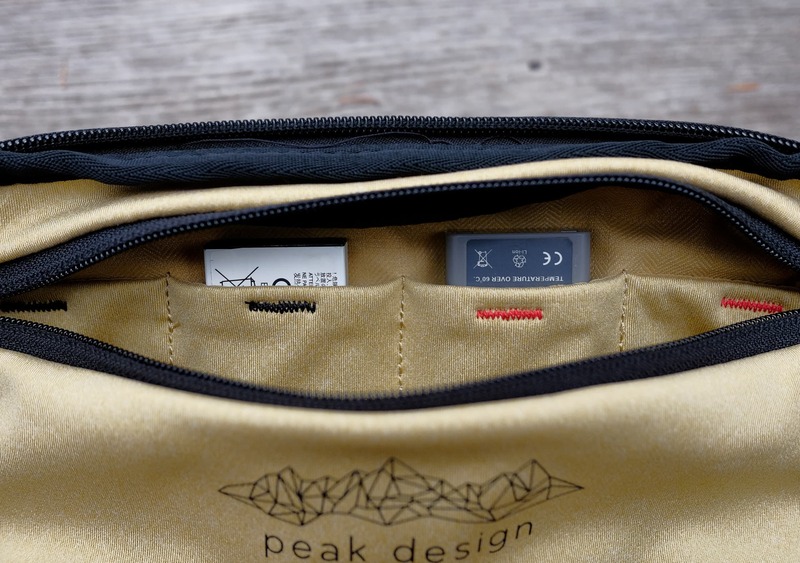 In addition to storing batteries, this pocket also has space for other miscellaneous cords or accessories. The large bottom compartment has two side tabbed pockets that are great for storing other small items that may not fit in the top zippered pocket. It also contains a snazzy padded, magnetic back compartment—Peak Design specifies it as a tablet sleeve, though we’ve found it’s rather snug if your tablet has a thicker case. Tablet or no tablet, it’s definitely useful for storing a variety of other items you want separated from the rest of your gear. The velcro interior combined with the removable velcro FlexFold dividers in the main part of the sling are what allow you to really go full organizational geek on the situation. 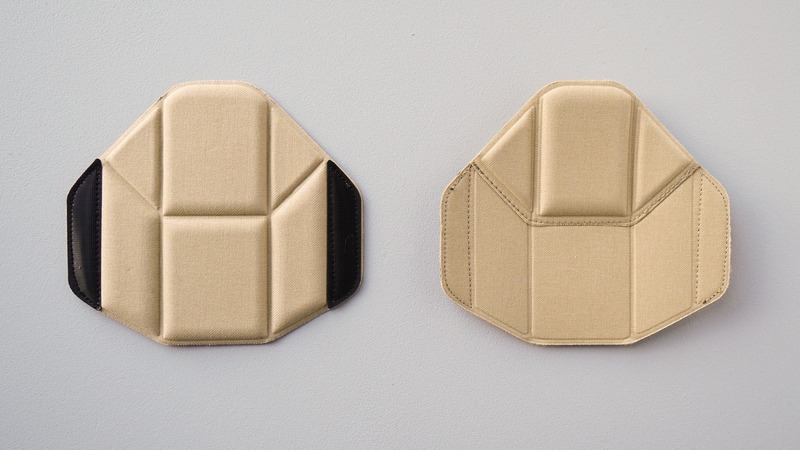 The configurable ninja turtle shell looking folders velcro in however you prefer to divide and support your cameras, lenses and accessories. We did find that the velcro can be a bit tricky to line up, but the fit is neat and snug once you figure it out. So…what exactly can this bad boy hold? While a full-frame DSLR will fit, we found it to be a tight squeeze when traveling with other items. The ideal camera to pack in this bag seems to be a point and shoot or, for more serious photographers, a small mirrorless camera with a variety of lenses. If you want to bring your full-frame camera and still have space inside for other items, we recommend making use of the Peak Design Capture Clip. Check out Peak Design’s site for additional info on what fits and what doesn’t. We’re still in the initial testing phases, but so far we haven’t found anything that concerns us in regards to durability or ease of use. As mentioned before, it can be worn both as a sling pack and a fanny pack. Peak Design’s Deep Dive video emphasizes that you shouldn’t call it a fanny pack but, let’s get real, that’s what it is. There’s nothing to be embarrassed about. All the Cool Dad Travelers™ know fanny packs are where it’s at—especially when they double as a protective packing cube. If you’re fanny pack averse, you’ll be pleased to know we found it wears better as a sling anyway. 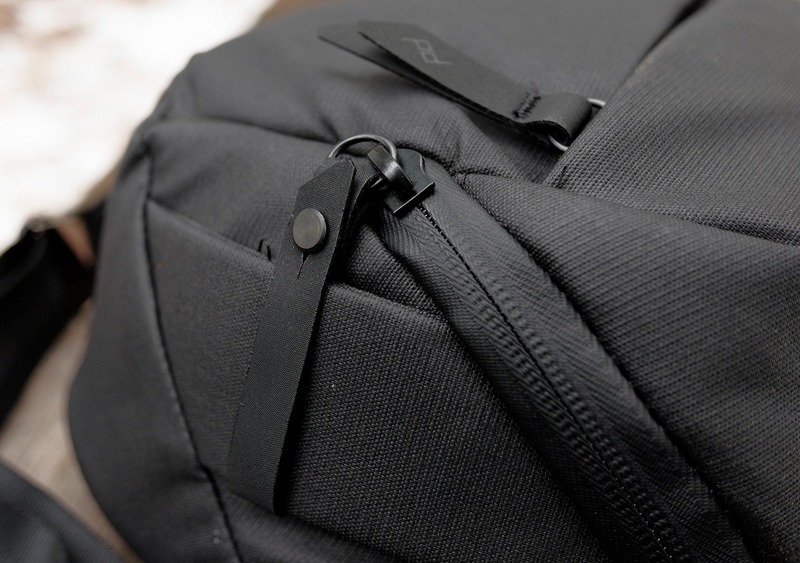 The pack forms very nicely to your back and the slick rotator clips make it incredibly easy to swing it to your front. From there, you can glide the smooth-like-butter strap out to create enough slack to reach inside without having to flex your t-rex arms. Grab what you need, sling it back around and pull the strap tight again in one fell swoop. We also found it useful to pair this sling with a larger bag. 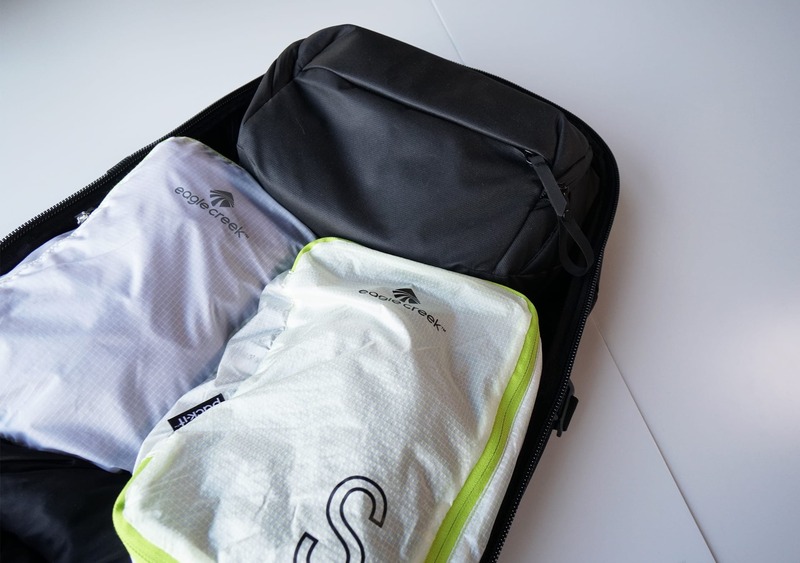 If your everyday pack doesn’t have enough padding for your camera gear, the sling can act both as a camera case and single day adventure bag when you want to leave your backpack in the hotel room. 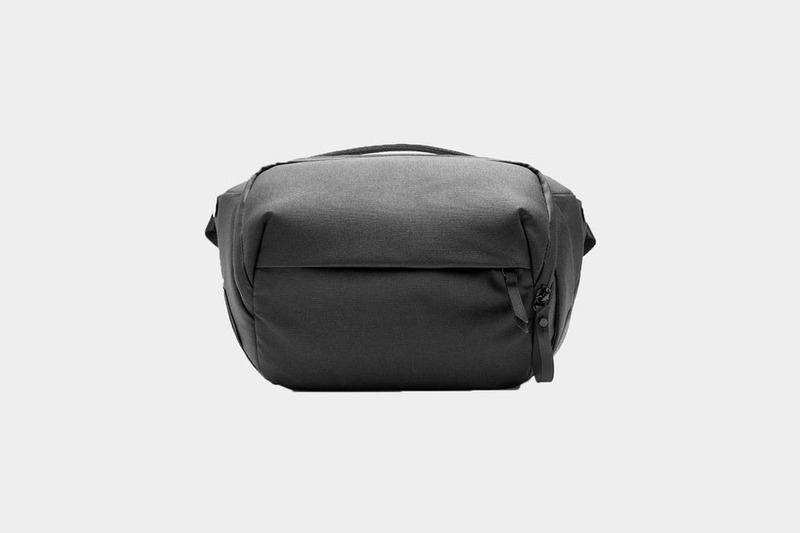 The price tag on this one may seem a little steep, but it’s worth it if you’re looking for a comfortable and protective solution to carrying camera equipment and other essentials on the go. Looks great out of the box. The sling strap makes for incredibly smooth adjusting and we’re excited about the organizational possibilities of the ninja turtle shell—ahem—“FlexFold” dividers. There are a few signs of minor cosmetic wear, but nothing that affects functionality. Sling is still holding up great in all other areas. 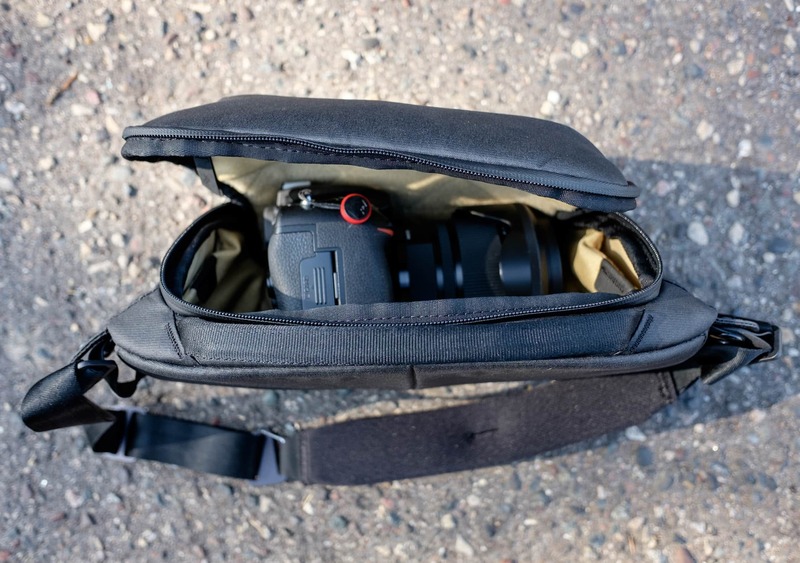 If you’re looking for a stylish sling that will neatly protect camera equipment and other essentials on everyday adventures, the Peak Design Everyday Sling is more than worth the investment. 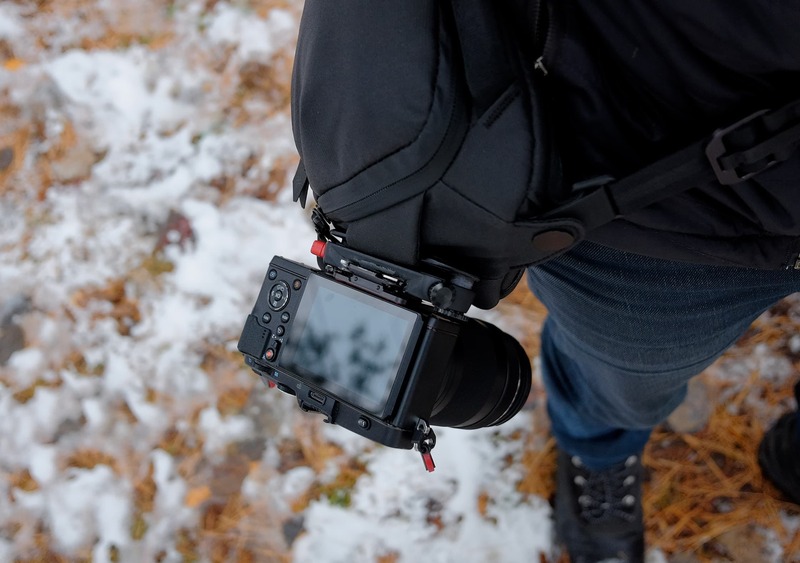 The well-designed sling strap makes for easy use on the go and the FlexFold dividers allow full customization of the pack’s space to fit your camera and accessories. It’s versatile enough to be worn as a sling, fanny pack or stored inside a larger pack—any way you choose, you’ll be glad to have it along.